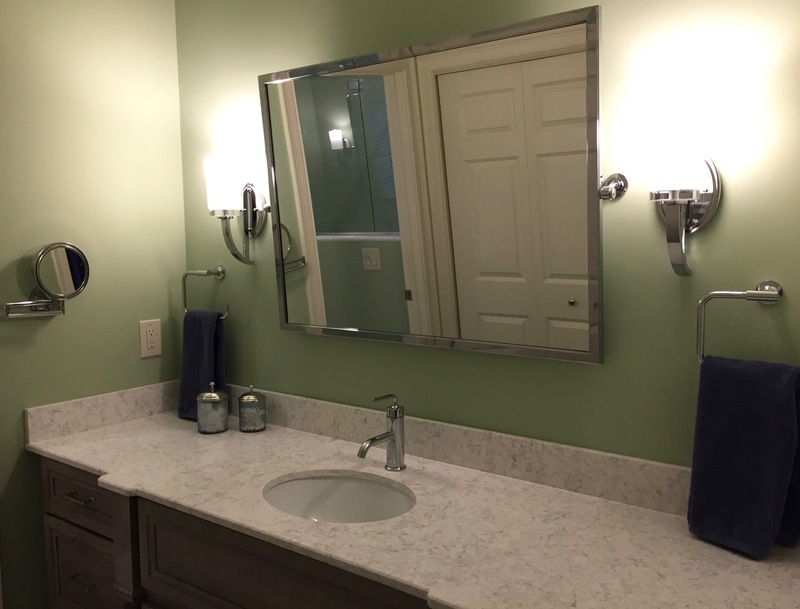 This couple wanted to improve the function and look of their master bath. 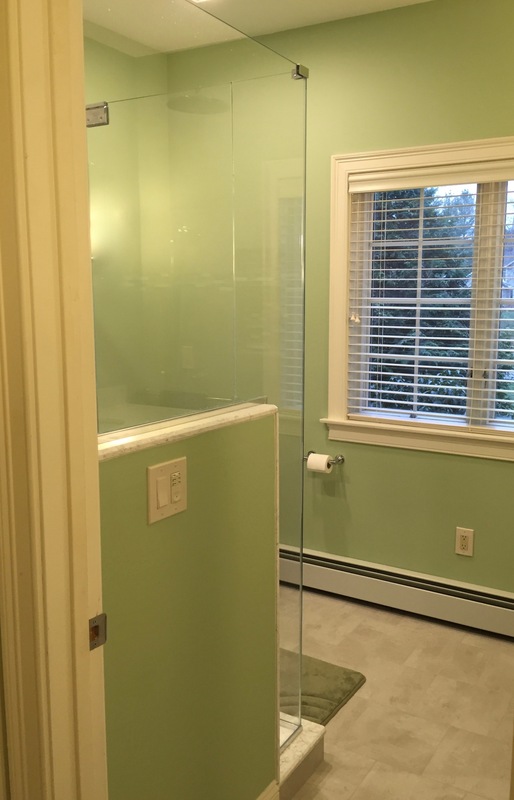 A custom tiled shower and reworked vanity areas will give them a space they can enjoy for years to come. 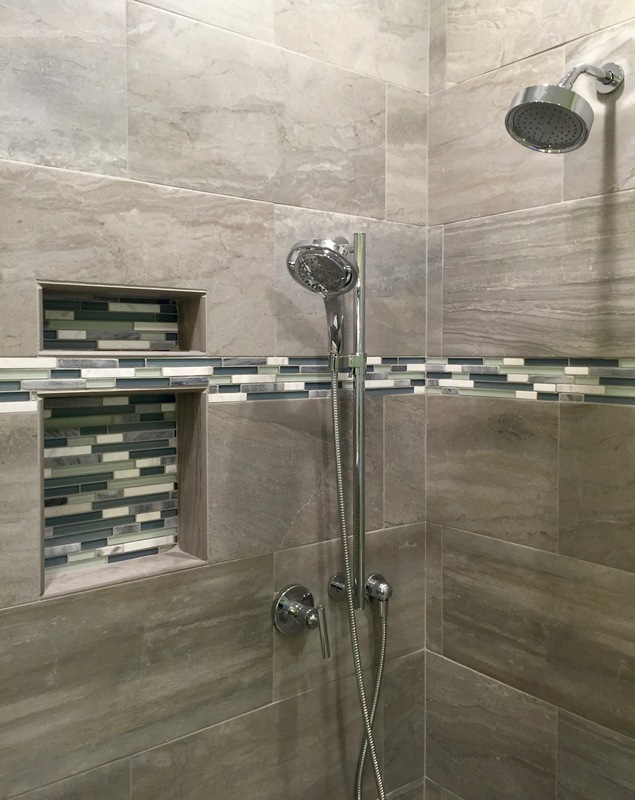 The new tiled shower has a larger footprint than before, and features a rain head, fixed shower head, and hand held shower head. 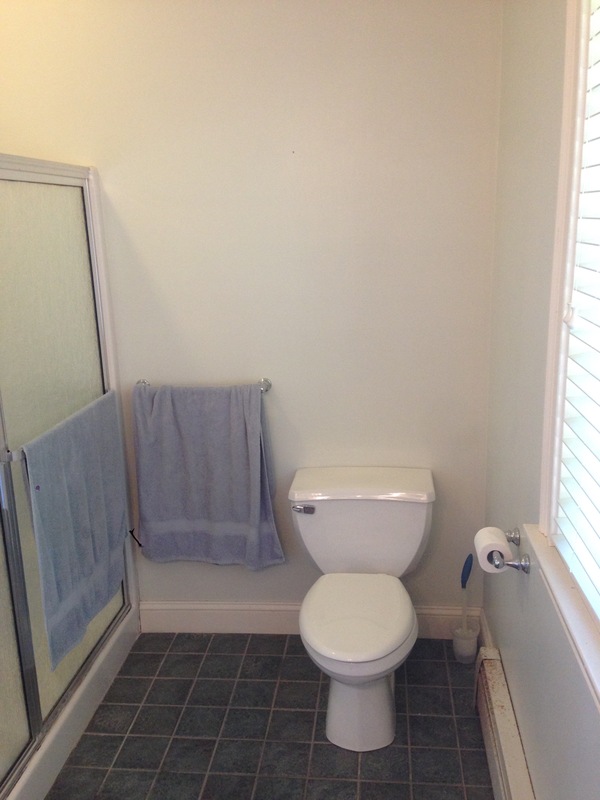 The two level niche provides storage. The original full-height end wall was cut down to only a half wall, opening up the room at the entrance. Controls near the entry on the half help people stay dry while the water gets hot. 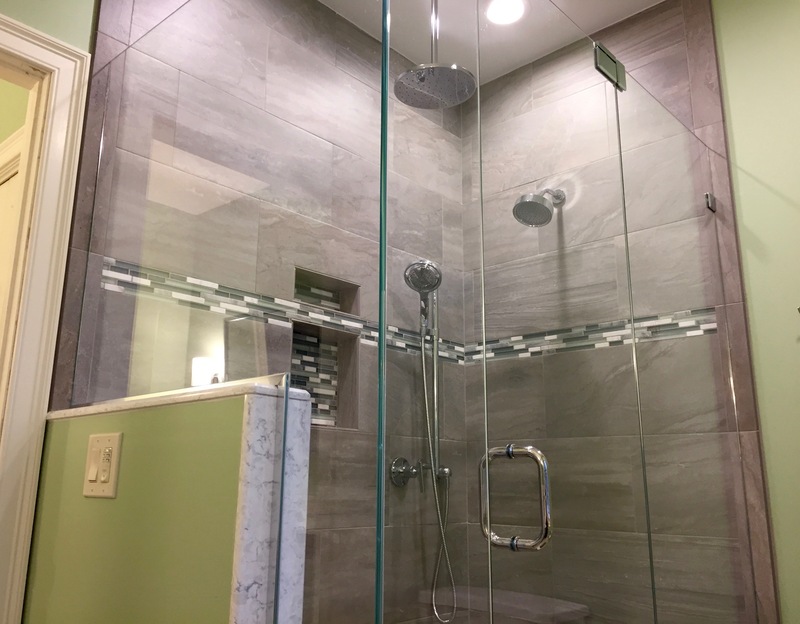 The hand shower makes cleaning easy and is handy for using while seated. 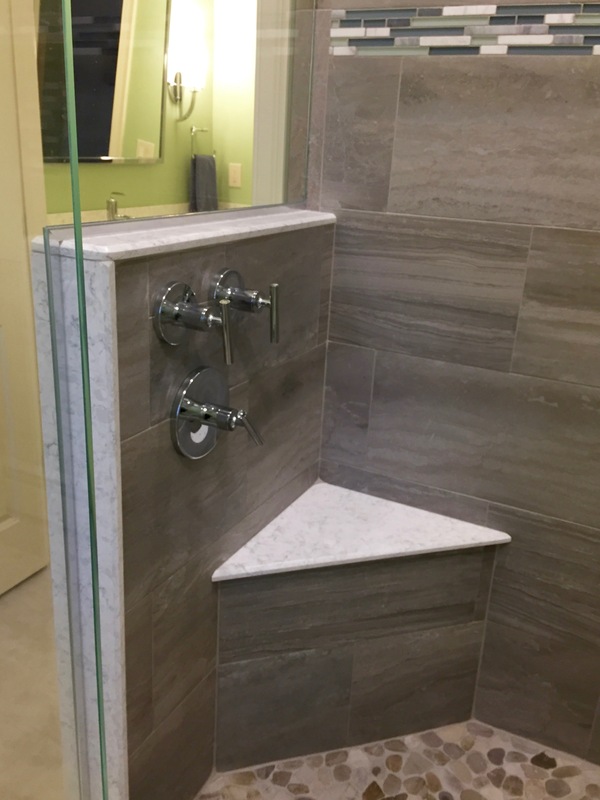 The two level niche helps keep the soap out of the water. 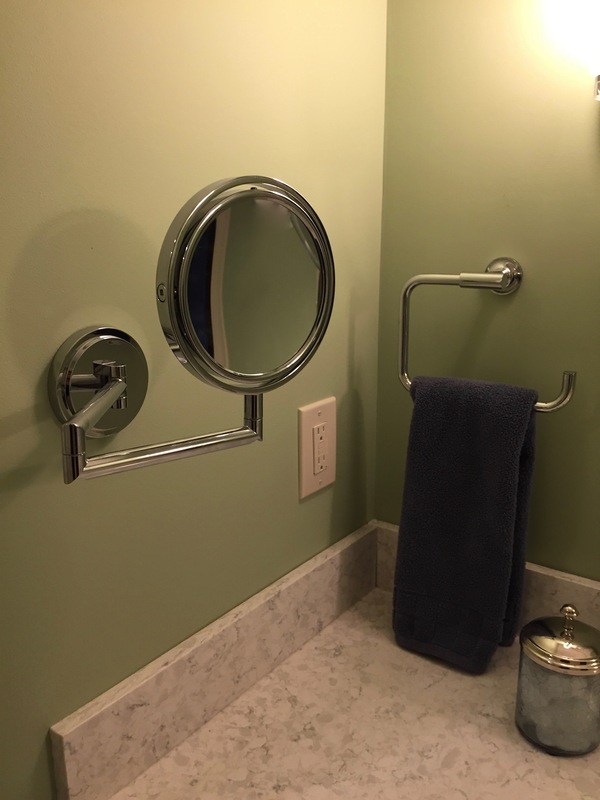 Sconces on the sides of the mirror provide nice light. 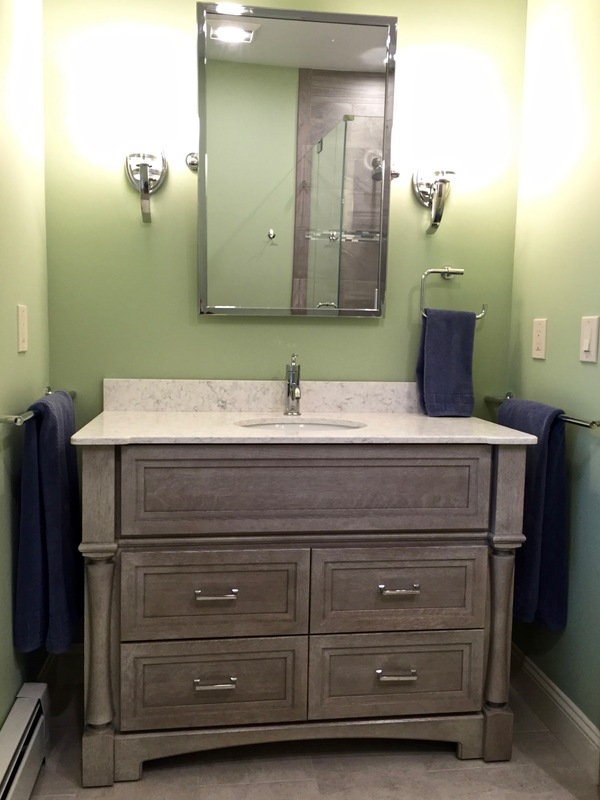 Nice storage now where before there was only a pedestal sink. Quarter sawn oak cabinets. Plenty of storage and counter now. 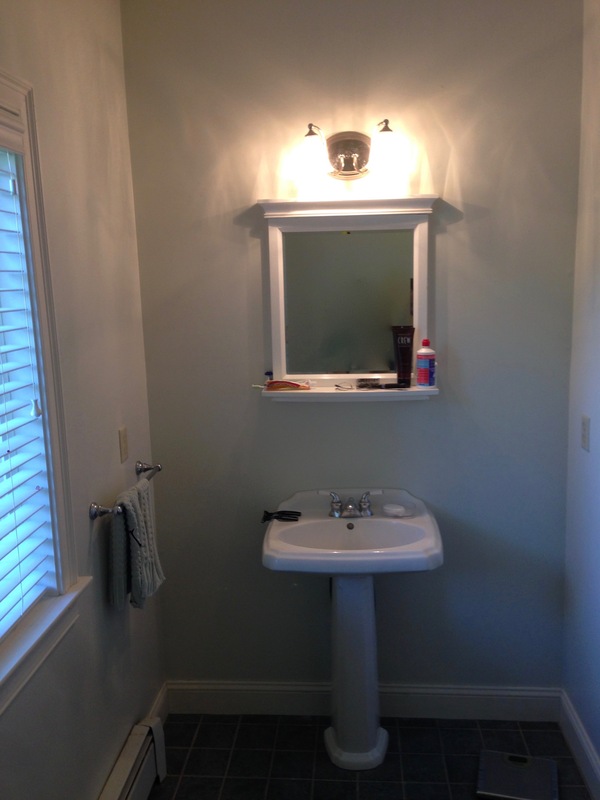 Sconces are best for lighting faces with fewer shadows. A magnifying mirror comes in handy. 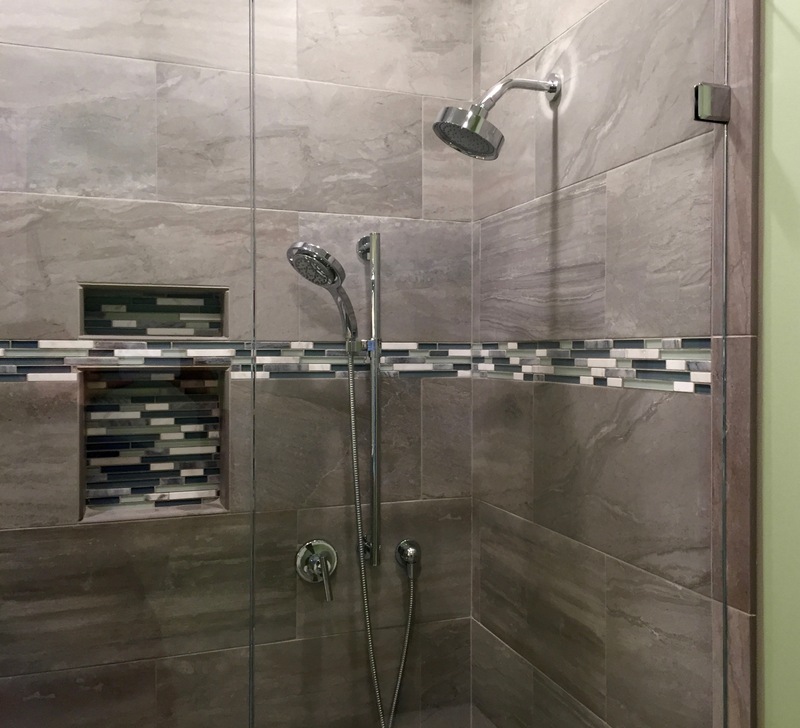 Originally, the shower wall went to the ceiling and made the entry narrow and dark. Bringing the wall down and using glass above and on the end of the wall really opened up the feeling with views and light. 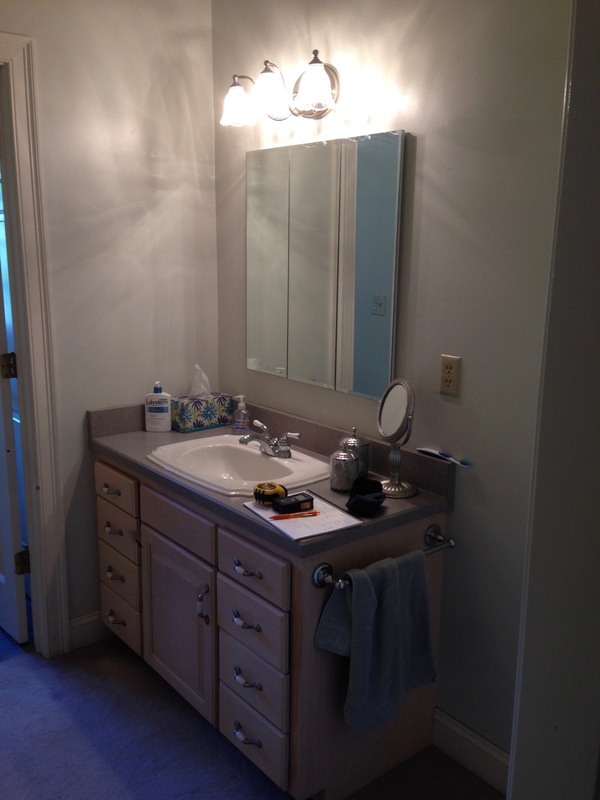 Before: there was a sizable empty area to the right of the sink cabinet. 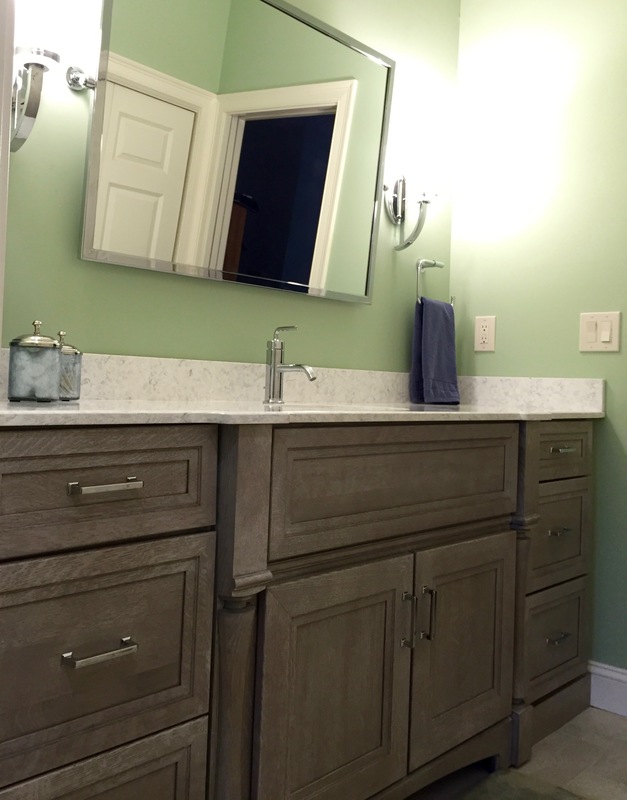 The renovation brought the cabinets and counters wall-to-wall. 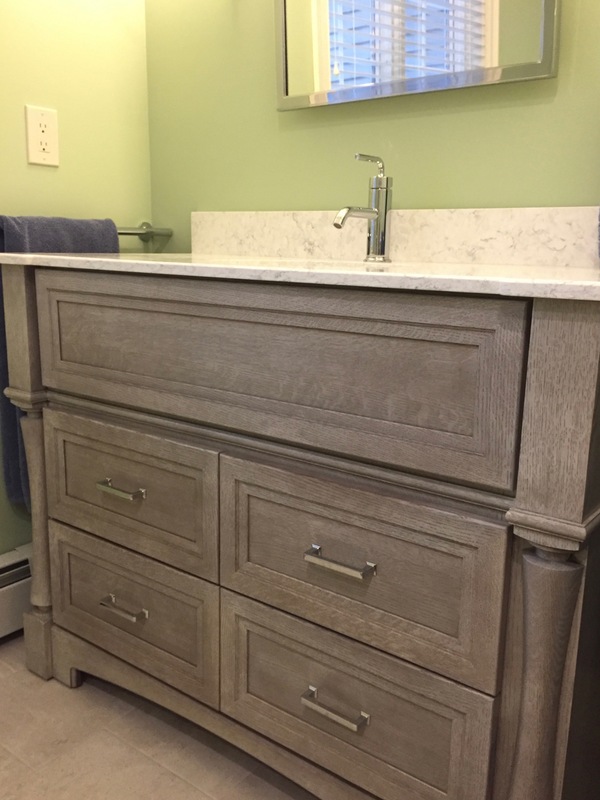 Before: not much storage or counter at this vanity. 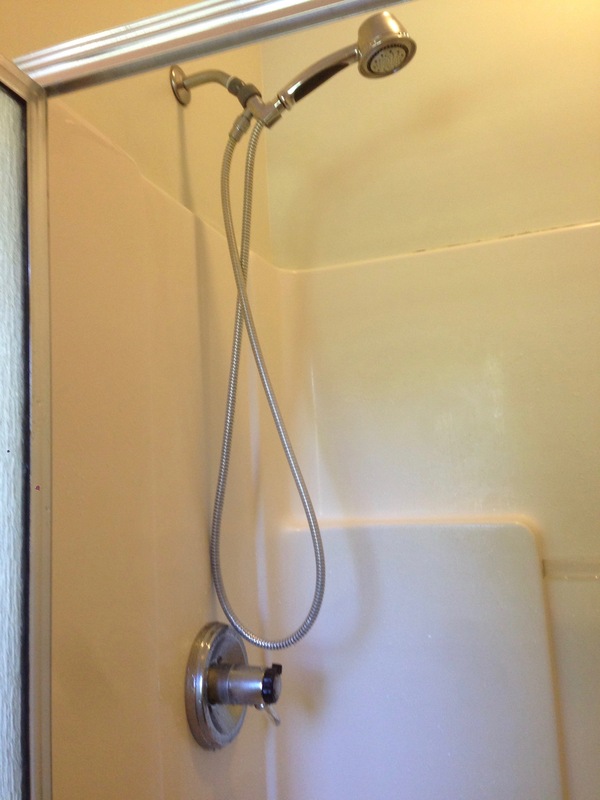 Before: the fiberglass shower insert.